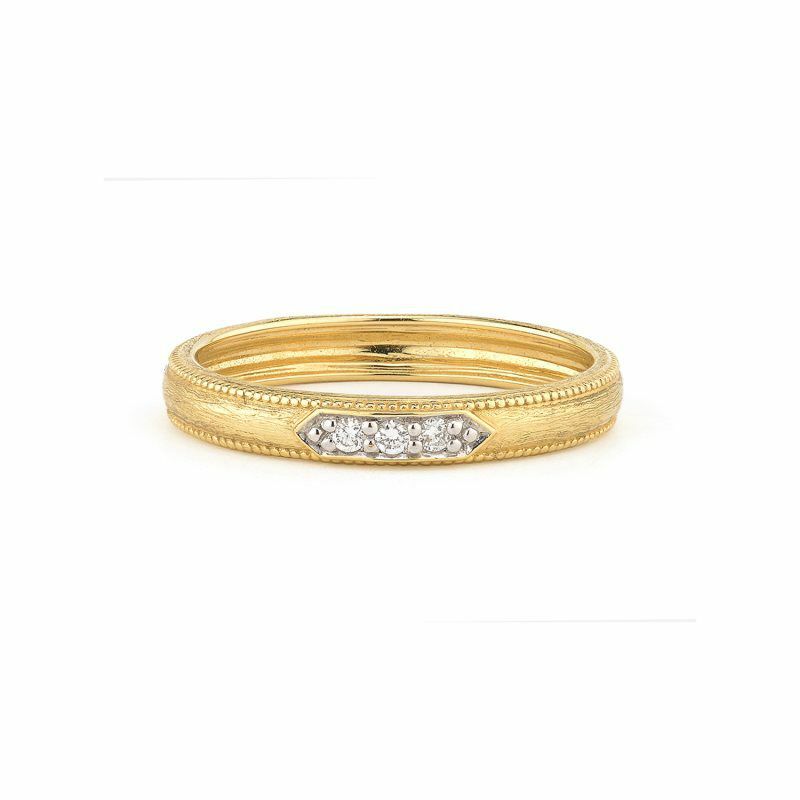 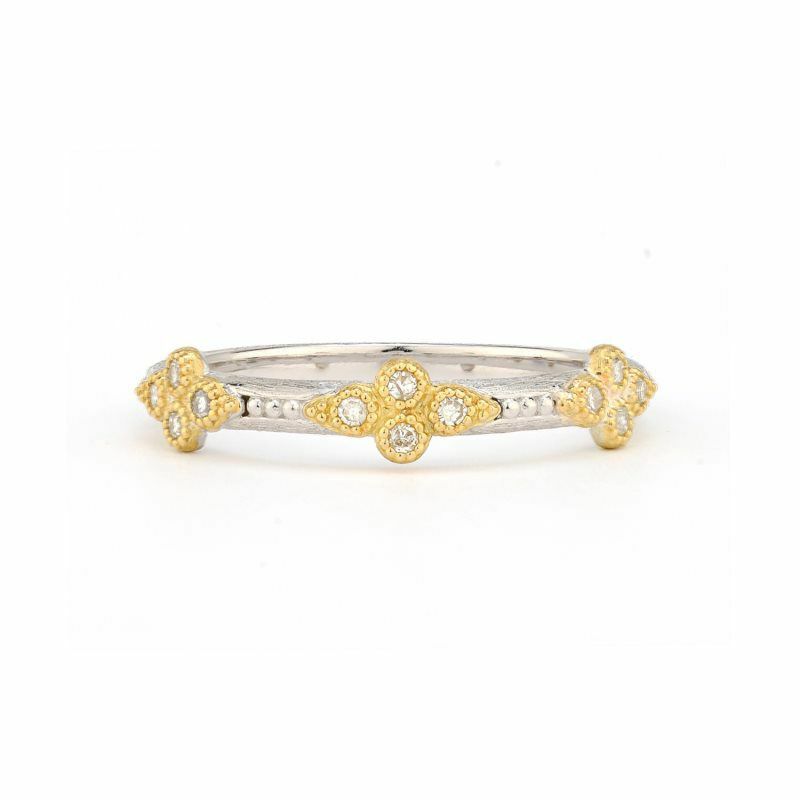 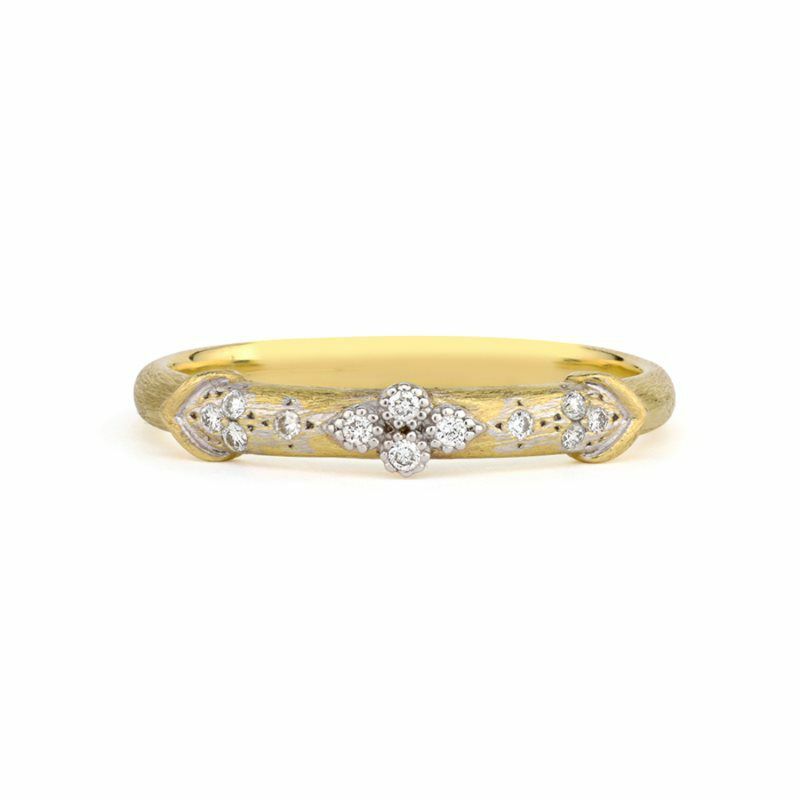 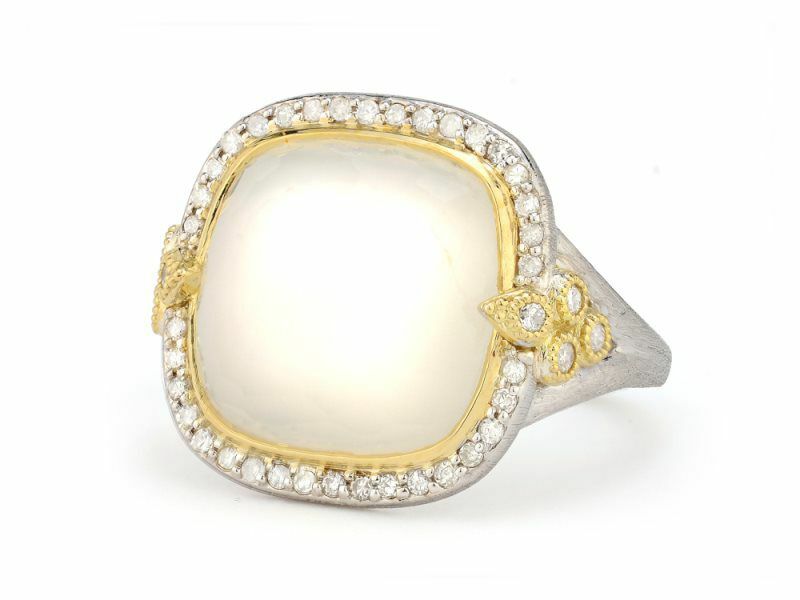 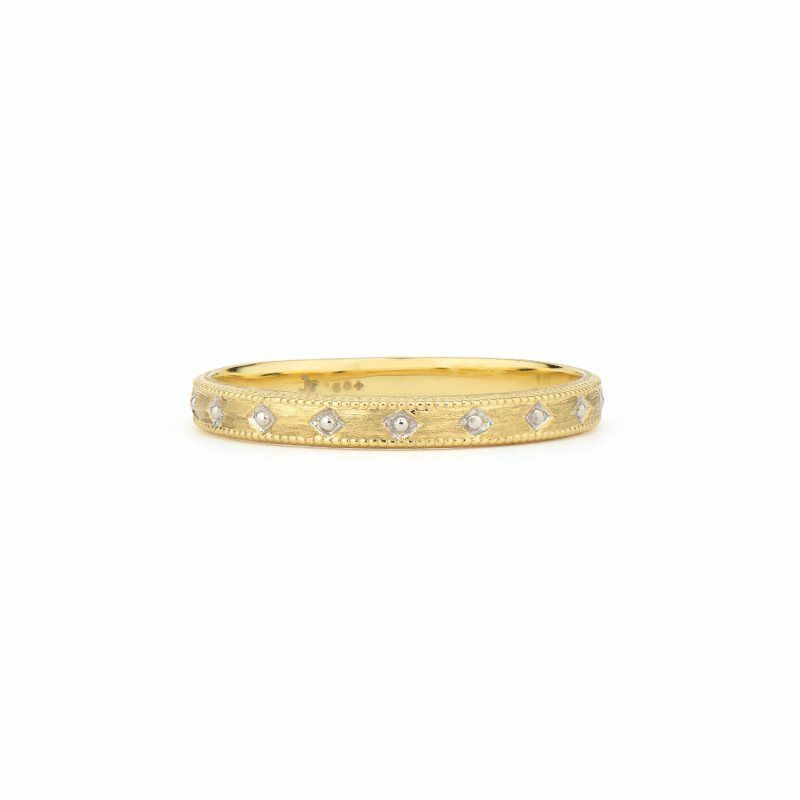 18K Delicate Band features brushed 18K yellow gold with beaded white gold accents. 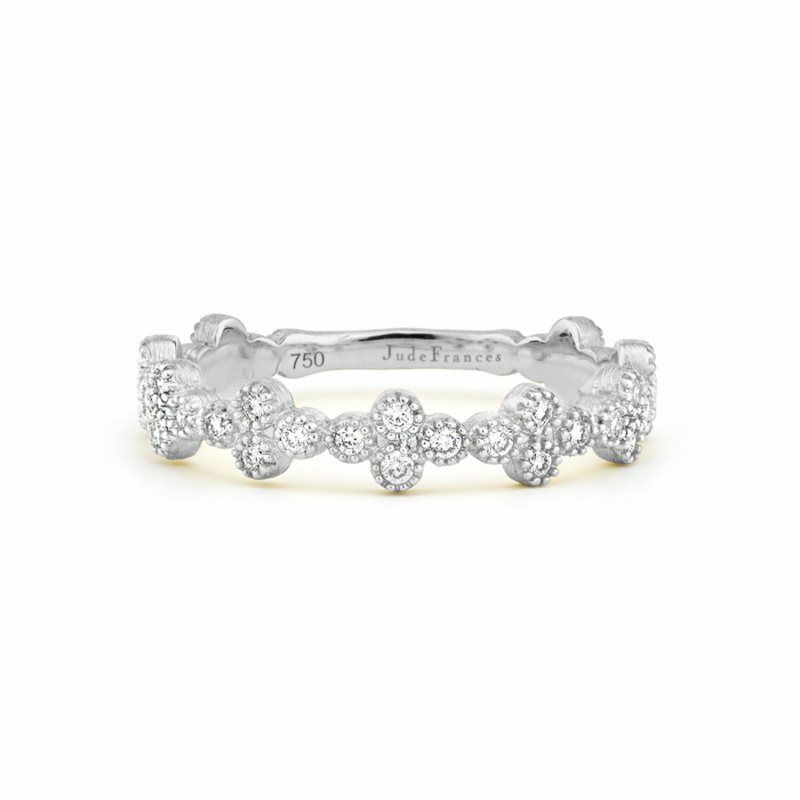 Diamond Quad Band in 18K brushed white gold. 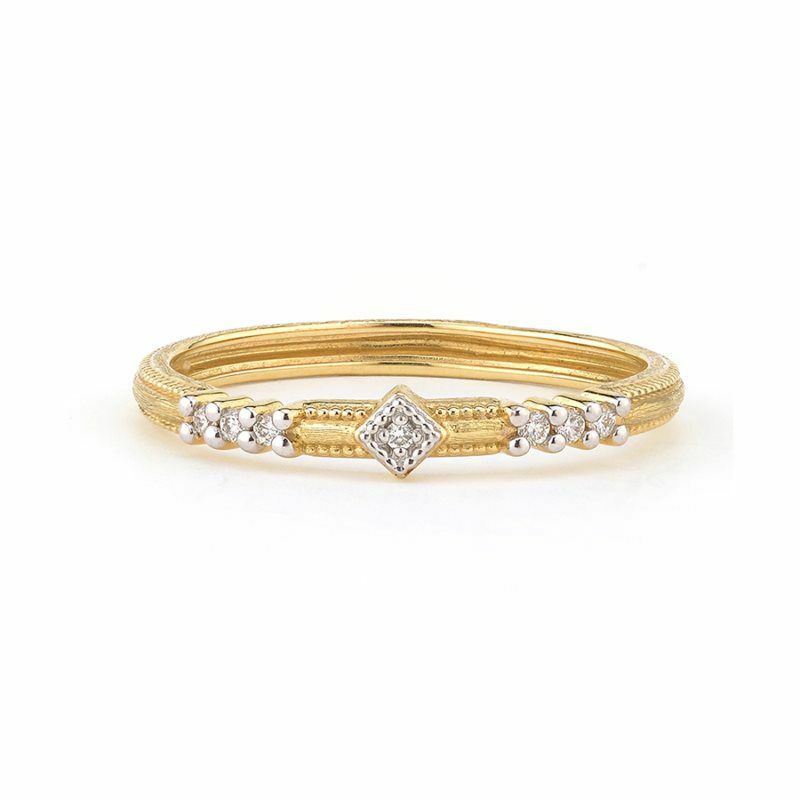 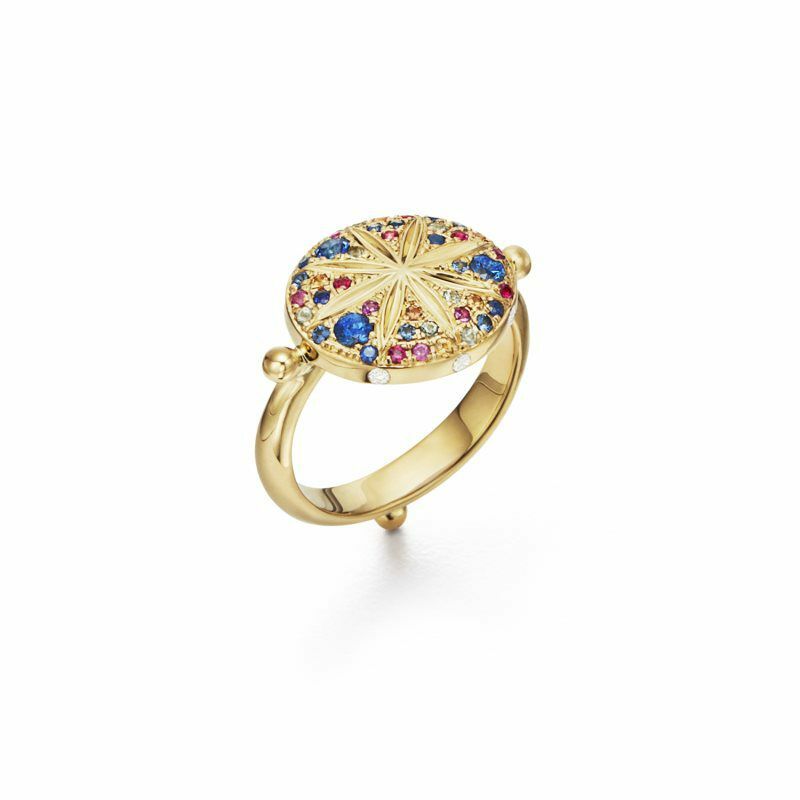 Mixed Metal Sterling Stacker Band with 18K Gold Accents, pave and bezel set round diamonds.